After a much adventurous romp in the concrete jungle that is New York City, I was looking forward to ending the long weekend nice and relaxed. But despite the fact that we were sleep deprived from our four day trip, and despite the sweltering southern heat that greeted us when we arrived, we decided to have a barbecue anyway in light of Memorial Day. And by “we” I mean my roomie and I, of course. The only crazies who would. Thanks for the recipe, Mr. DD. 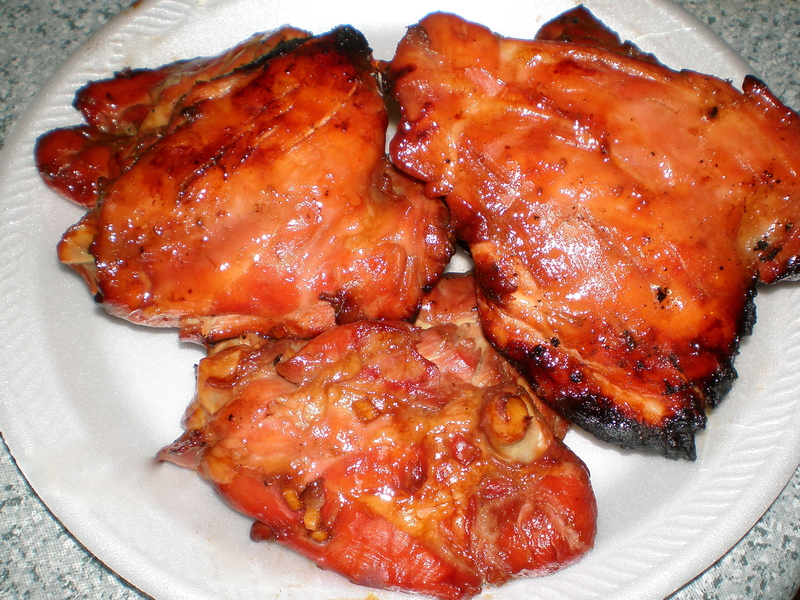 This barbecue chicken recipe is mouthwateringly good. Step 1: Remove the skin from the thighs and give the thighs a quick rinse. Step 2: Stab the meat in a few places to create pockets of flavah. I honestly believe this helps the meat soak up the marinade faster and deeper. Heh. Step 3: In a separate bowl, pour enough soy sauce to cover all chicken thighs. For every cup of soy sauce, add 1 tbsp minced ginger and 1/2 cup honey. Step 4: Soak the thighs in the marinade for at least 30 minutes in the fridge. In the meantime, prep the veggies! 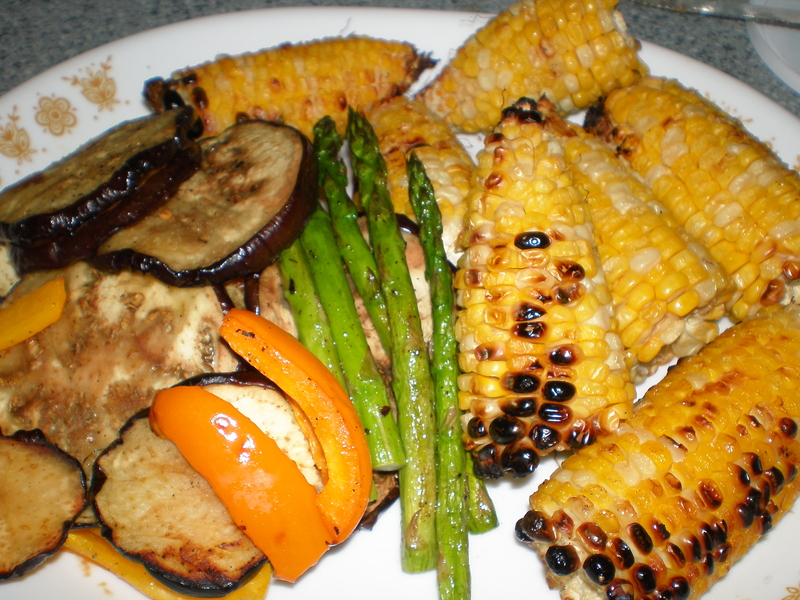 Eggplants sliced into thick coins, asparagus spears, bell peppers, seeded and sliced into strips, and fresh sweet yellow corn. A light drizzle of olive oil and a sprinkle of salt is all you need. MmMmmmm cheesy bratwursts are my new fave! I never knew they existed until J&D brought them over. Thanks for sharing, my tastebuds were doing the happy dance. 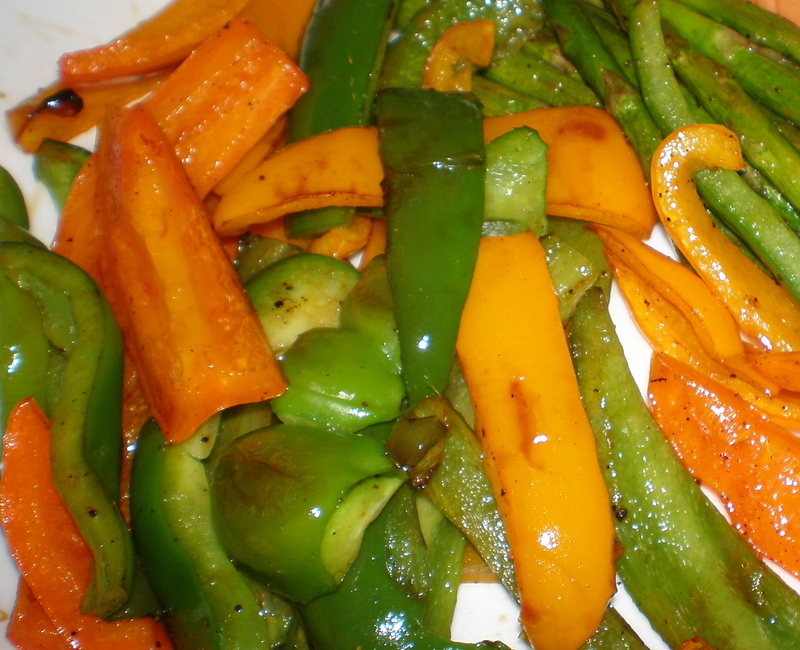 I lovelovelove grilled peppers. I could eat these all day. By themselves. Or loads on top of cheesy brats. 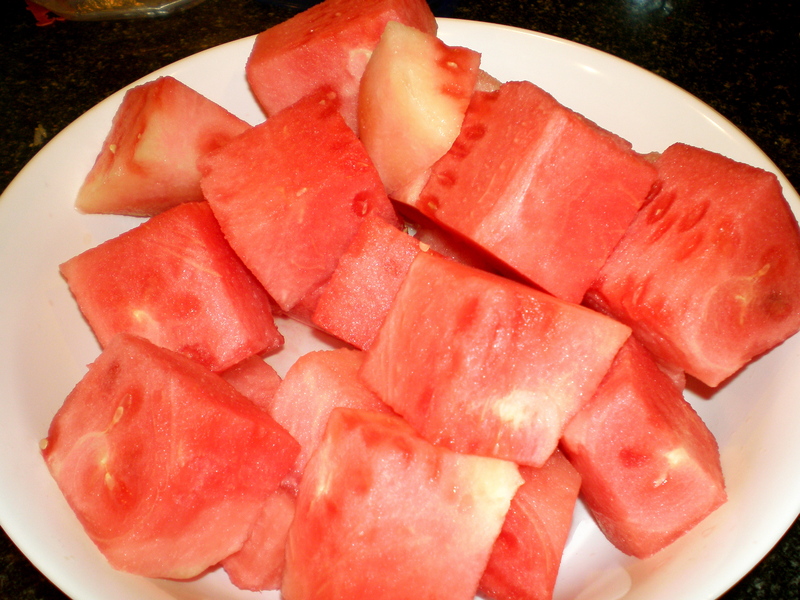 Gotta end it with watermelon. Thanks M. *slurp* Hope you had a great weekend as well. In remembrance and appreciation, I thought I’d share these pictures with you. For those of you with family or loved ones who have or are serving our country, get ready. These pictures will pull on your heart strings. Words simply cannot express how grateful I am for all the men and women who give their lives to protect ours. Thank you. Happy Memorial Day. 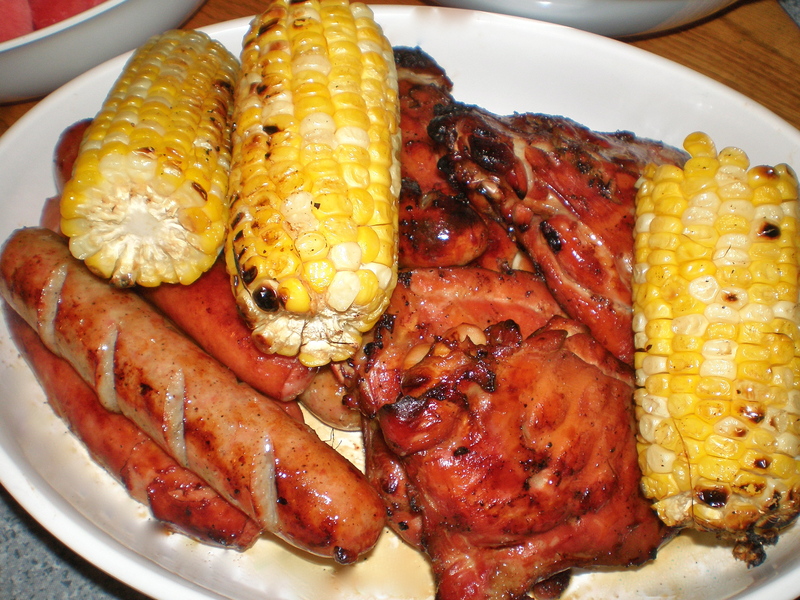 ooooh I love anything and everything grilled!! Too bad we don’t have a grill in our apartment in Chi. Once we move, I will probably end up grilling everyday to compensate lol. And I’ll have to try your ginger honey marinade – sounds delish! !